As well as all the great ride on toys, wendy house, dressing up and puzzle corner for the children to play with, there’s always plenty of play doh and a craft to do for those who like to get creatively messy! In the summer term we have a lovely garden outside which we use when the weather allows it! Around 11.00 we have a snack and story circle time. While the kids munch on their healthy fruit snack there is a 5 minute interactive story based on a biblical theme such as sharing, caring for creation or helping others. If the children want, they can take part in some way. We’ve used dressing up, little figures to hold, puppets to watch and actions to join in with, to keep it fun and engaging. There are noisy instruments for song time and a parachute to play musical games with. We finish at 11.30 by popping bubbles while singing our goodbye song. We would love to have you join us and look forward to meeting you! 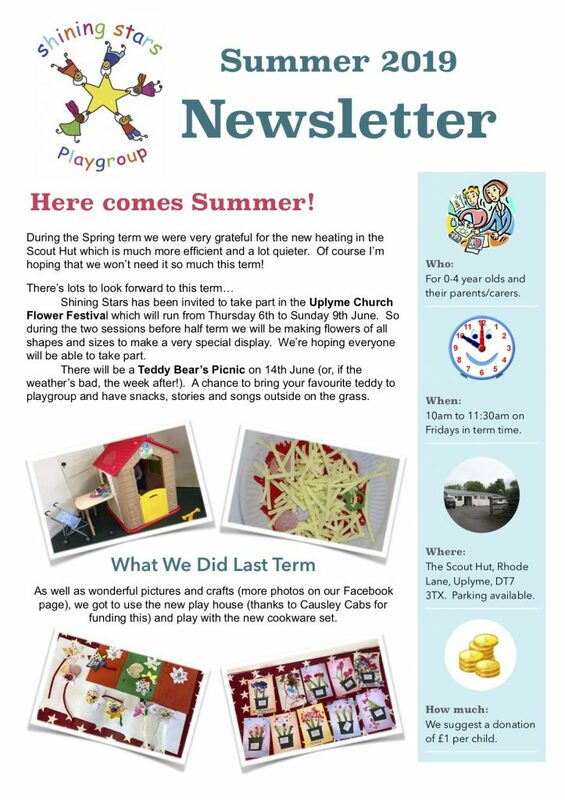 See our latest newsletter for more information, including term dates! 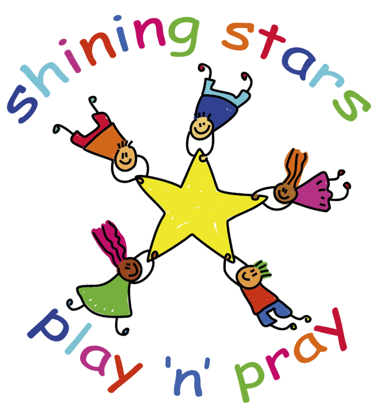 If you would like more info about it please email Jan Impey at shiningstars@uplymechurch.org.uk or call 01297 444499.